As a dancer, Ailes has her background in classical ballet, training under Lori Ardis at the Swarthmore Ballet Studio from the age of five. Her modern dance experience is predominantly in Graham, Horton, and Cunningham technique. She trained under Carol Dilley and Rachel Boggia at Bates College and has performed in works by Tania Issac, Meredith Lyons, and the Urban Bush Women. In February 2014 she was part of the company representing Bates College at the American College Dance Festival by performing in Lyons’ piece “::subconscious::”. She has also completed the Bates Dance Festival Professional Training Program twice (in 2012 & 2013). As a choreographer, Ailes has produced many works for the proscenium stage, as well as some video dances. Her senior Dance thesis, a fourteen-minute proscenium performance using a poetic soundscape, was entitled Homing and featured seven dancers, including Ailes. Ailes has been experimenting with combining her practices of performance poetry and dance through composing “kinetic poems” in which the performer simultaneously speaks a poem and dances. She has been influenced in this practice by Marc Bamuthi Joseph, among other artists. 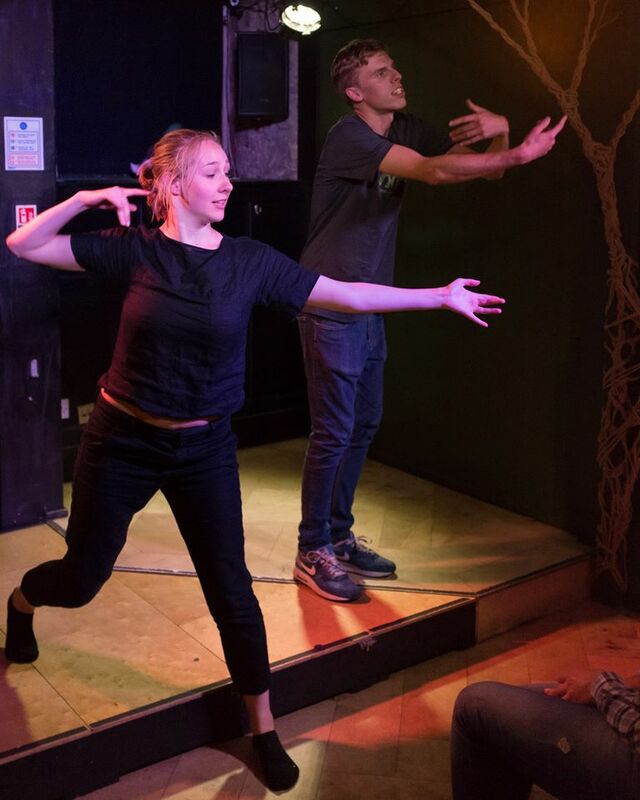 At the 2015 Edinburgh Fringe Festival, she collaborated with the FLOW! project, which brings together dancers and spoken word artists for dynamic improvised performances. Performing with Harry Baker in FLOW! Shorts, August 2015, Edinburgh. Photo credit: Scott Carroll. “Chasing Corners in Funhouses” Composition with Mary Anne Bodnar. Taunton, England: Summer 2014. “Chasing Corners in Funhouses: Choreography Lesson” Video edited by Mary Anne Bodnar. Taunton, England: Summer 2014.